Níjar council confirmed it is planning to ban wild camping after more than 200 caravans and motorhomes descended upon the park on Easter weekend. Councillor Alexis Pinar said: “this was an avalanche which we expect to be even worse this summer, and which caused our traffic infrastructure to collapse. The local police issued a number of fines to badly parked caravans”. The council says it will shortly introduce new bylaws to prevent any wild camping, allowing the local police to move on caravans parked overnight in parking bays. 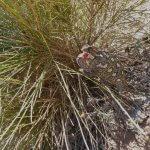 This entry was posted in Blog and tagged cabo de gata, camping, nature park, nijar, rv, wild by David. Bookmark the permalink. ← Previous Previous post: Cabo de Gata resources strained to the limit over Easter, will it cope in summer?